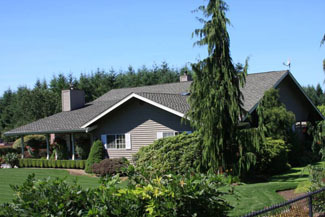 Johnson Exteriors, Inc. is a leading name among the commercial low slope roofing services around Tacoma, WA. 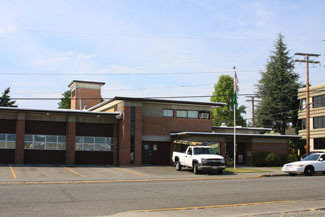 With years of expertise in this field, we have offered excellent commercial low slope roofing solutions to many properties in the Tacoma area. Therefore, if you are in search of a reliable commercial low slope roofing service for your office or warehouse, hire us. Though our commercial low slope roofing service is popular among businesses, we work in residential areas as well. Just let us know about your commercial low slope roofing requirements and we will get the job done with the utmost precision. All our team members have extensive expertise in the work and will ensure flawless work. Just get in touch with our experts to get complete details regarding commercial low slope roofing. Commercial single ply roofing has gained immense popularity among warehouse owners, as these offer better protection compared to conventional materials. Not all commercial single ply roofing material is compatible with every premise. Therefore, if you want to get the best return for the money you invest in single ply roofing, hire us. 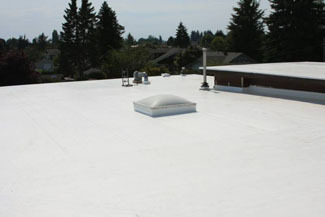 Our commercial single ply roofing team will visit your Tacoma premises and suggest the best roofing material. Before installing any commercial single ply roofing, we will discuss the pros and cons with you in detail. We are listed among the most reliable single ply roofing systems installation services in the area and we believe in maintaining transparency in our work process. Our single ply roofing systems team around Tacoma will inform you about the materials available as well as the complete work process. Our single ply roofing systems experts will share every detail regarding the materials we have available so that you get to make the best pick. Our single ply roofing systems installation team is known for precision of work. For commercial single ply roofing or single ply roofing systems installation around Tacoma, call the experts at Johnson Exteriors, Inc. Dial (360) 226-2521.